**This recipe is for an alcoholic beverage. I don't know what its like where you live, but here in West Virginia summer is in full swing. It has been HOT, but I'm not gonna lie, I've been loving every minute of it! After a LONG winter, one of my favorite things to do in the summer is to sit on the porch with a bunch of friends, gossiping our lives away, sipping on my Hillbilly Sangria. For this Hillbilly Sangria you will need a few simple ingredients. 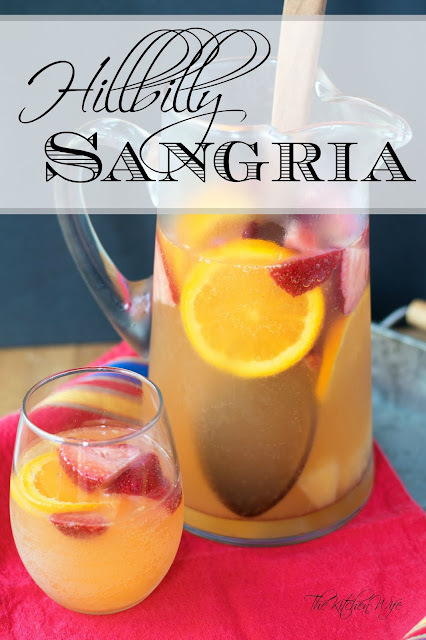 So obviously the base of any good sangria is the wine. You can use any white wine that you prefer for this. Just make sure it's actually something YOU enjoy drinking. I'm using this Summer Breeze Sweet White Wine from a local West Virginia winery called Batton Hollow Winery. It's delicious! So, pour your wine into your pitcher. Next pour the pineapple juice from the can into the pitcher with the wine. And lastly, the sliced orange. Now place the wine and fruit concoction in the refrigerator to chill and steep for AT LEAST 2 hours. Once the wine and fruit are chilled, and have had time to steep, you can top the pitcher off with some lemon lime soda to give it a little sparkle. You know how girls love their sparkles! Give it a quick stir and you are ready to head out to the porch and drink! 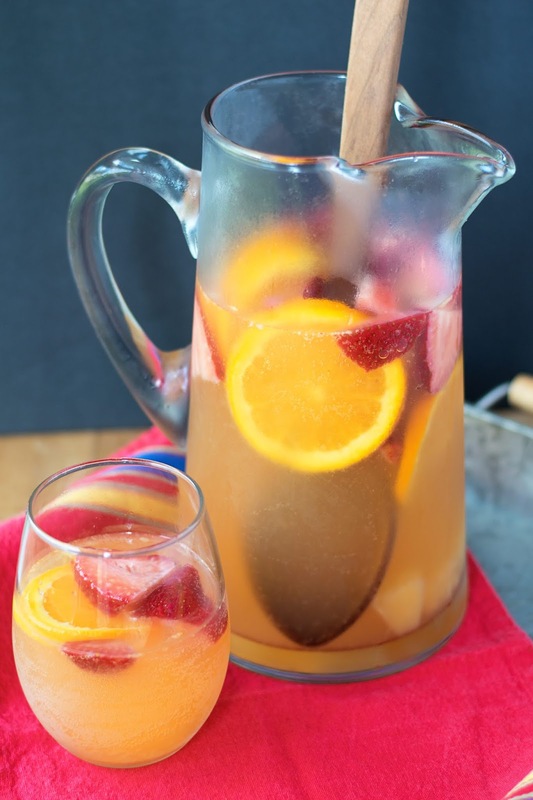 This Hillbilly Sangria is so bright and refreshing! It's perfect for a girls night, BBQ, or any quiet evening in. I know you're gonna love it all summer long so give it a try tonight! In a pitcher combine the wine, juice from the pineapple, and all the fruit. Place in the refrigerator for at least two hours to steep and chill. Top off with lemon lime soda right before you are ready to drink.